Welcome to A-Z Family Chiropractic Clinic. Call us today to book your appointment! Our senior chiropractor is Dr. Zoe Bennett Mchiro. Doctor of chiropractic. 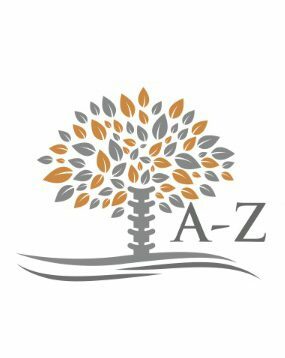 At A-Z Family Chiropractic we have highly experienced chiropractors that are passionate about getting people…. Dr. Zoe Bennett. Mchiro. Doctor of chiropractic is our senior chiropractor at A-Z Family chiropractic clinic. She has done many courses specialising in paediatrics, chiropractic for pregnant women and children, SOT, chiropractic biophysics, k-taping as well as treating people with generalised joint and back pain. Dr Zoe’s youngest patient was only 4 days old and… Continue reading Meet our Chiropractor! Joanna Snook our sports therapist is now working at A-Z family chiropractic clinic on Mondays and Fridays! She has just completed her masters in sports medicine following her degree in sports therapy. She has worked alongside well known football and rugby teams and in chiropractic clinics. She specialises in sports massages, remedial massage, sports and… Continue reading Meet our sports therapist! After months of preparation we finally have an opening date. We will be due to open in September why not get your spine checked? Through the month of September we will be offering chiropractic consultations for only £20 instead of the usual £40! Do you suffer from any of the following? Back pain Headaches Sciatica Poor posture Lumbago Knee Pain Tennis/Golfers elbow Why not book in for a consultation with a highly experienced Chiropractor at A-Z Family Chiropractic clinic and see if we can help. We are based in the heart of Blackburn city centre on Simmons street.… Continue reading Are you in pain? Relieve pain. Restore function. Remain well.